The book is out now! Buy it at google play, or at ebooks.com or get the hardback at amazon. The same author wrote a very similar book a few years back (I would guess this is an translation with updates). I have only read the Swedish version, but I have waited for this English version for a LONG time. 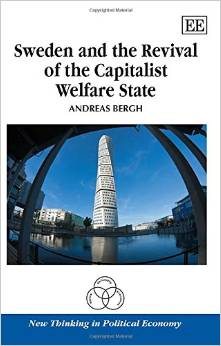 Every time someone have asked me why my native Sweden is successful (in terms of GDP, HDI, competitiveness index, happiness index) I always wanted to refer to this book because no other piece spell it out as well.